These are the 3 things to look out for when getting any fringe activities for kids. As professional carnival event planner, we understand which are the fringe activities that best suit your event. Here are the top 3 questions you must ask yourself first before engaging any fringe activities for your event! 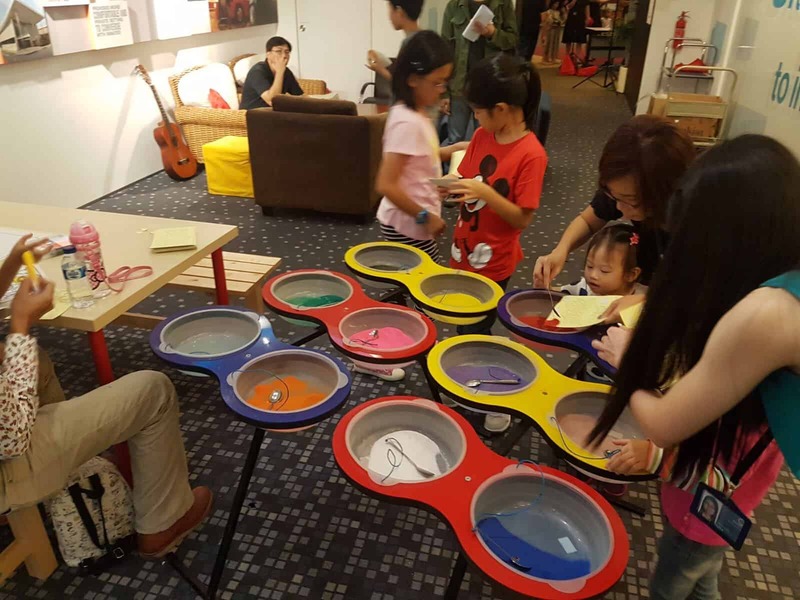 Can the stations attract the kid’s attention? Luckily for us as a carnival event company, we are confident that every single fringe activities we provide can attract both kids and adults attention. But you may want to ask our experienced sales team for recommendation of the popular fringe activities. Will the kids be entertained by themselves? Depending on your event, you may want to create a “play zone” for the kids to be entertained by themselves! For example, having a bouncy castle or a ball pit for the kids are the common solution. If you would like to impress your guest, why not have an arcade area such as air hockey table, whack a frog, wii game, daytona racing game etc at your event! If you are doing a carnival on a tight budget, simply get a few carnival game stalls that the kids can win some small prizes as they play! Can the kids bring home a little souvenir? Nobody likes to go to a carnival without bringing back home a little souvenir. Small game prizes usually does the job as everyone love to win some prizes at a carnival. However, you may want to include fringe activities such as caricature station, balloon sculpting station, glitter tattoo station etc but do expect a little queue for these type of stations as it takes approxiemately 3 mins to complete a request. Therefore, another recommendation will be having arts corner such as sand art station at your event! 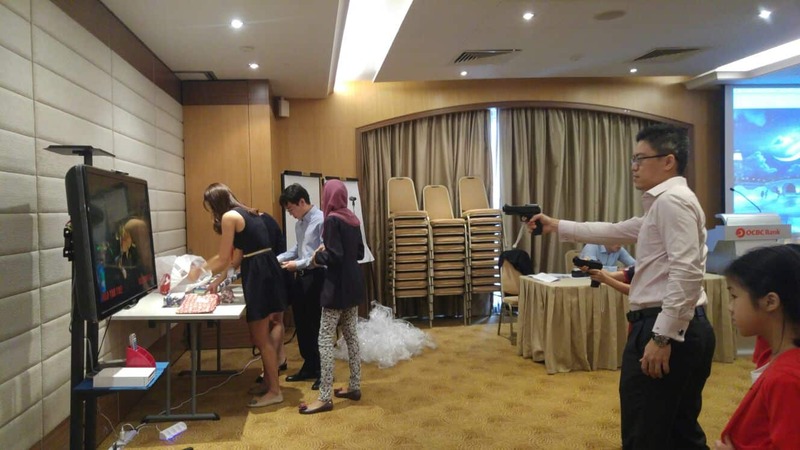 Here are 2 events we have done at OCBC centre and Carlton Hotel ballroom! Our wii game station is fun to watch as well! 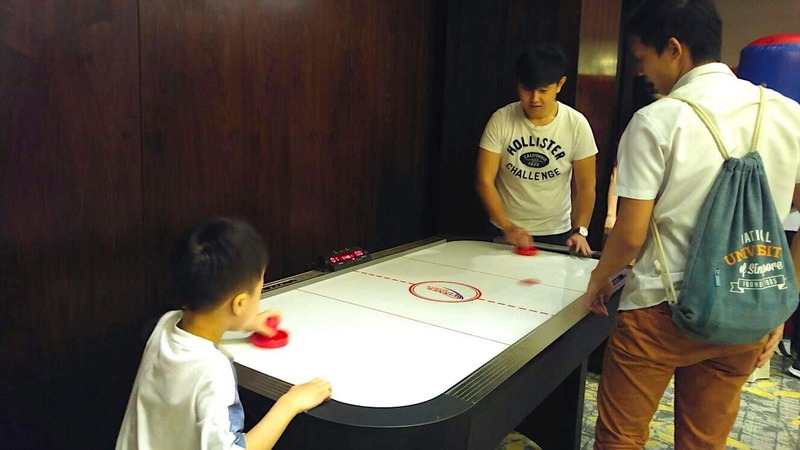 Who doesn’t love playing air hockey?